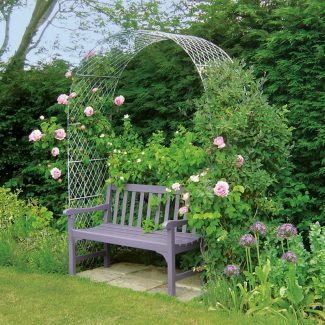 Our lattice wirework garden arches are available in a variety of arch designs and sizes, including a garden arch with single or double gate, and a wide garden arch to cover a larger path or garden bench.  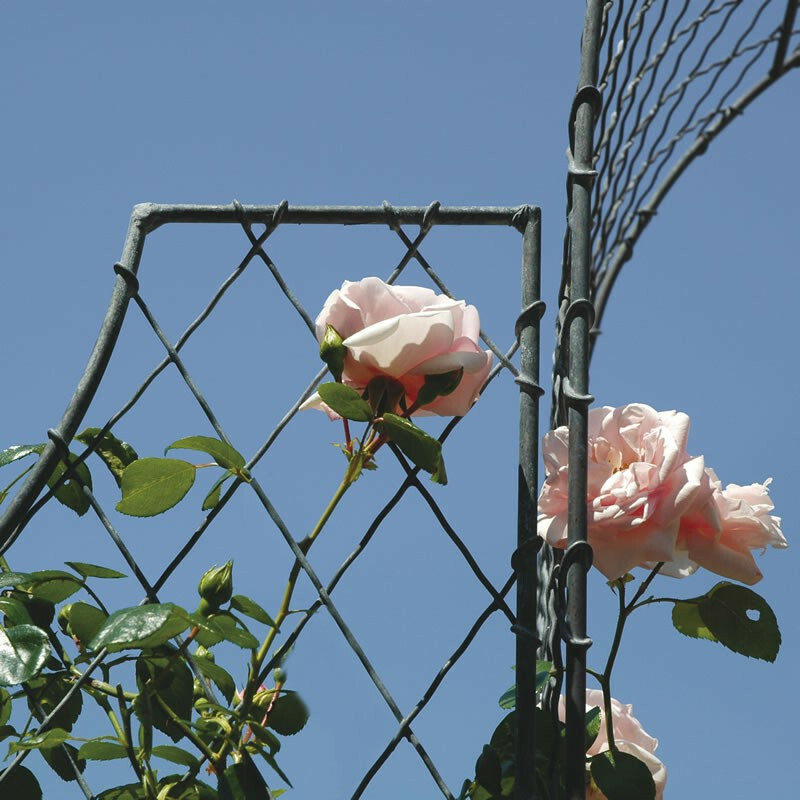 A metal garden arch made from zinc galvanized steel is highly rust resistant and will not need to be replaced like rotting wooden arches, so your plants can climb and bloom happily for many years to come. 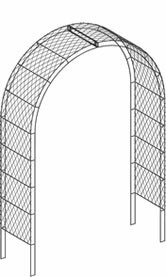 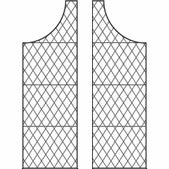 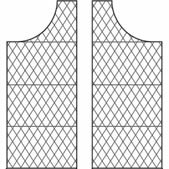 The wirework arch range is also available with matching arch side panels to create an interesting profile and provide additional garden screening where necessary. 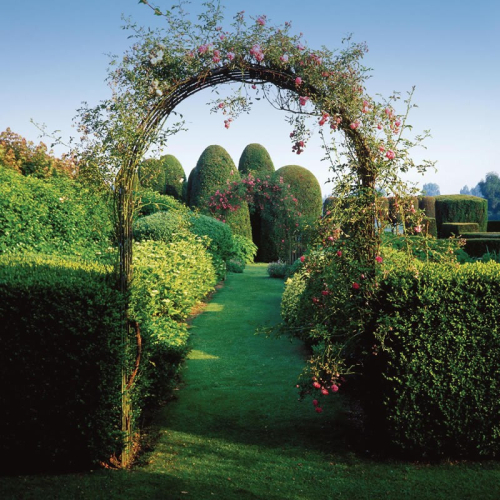 The arches are made in two halves and have integral 15″ long legs to push or concrete into the ground. 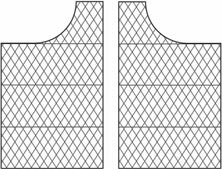 All heights specified are above ground. 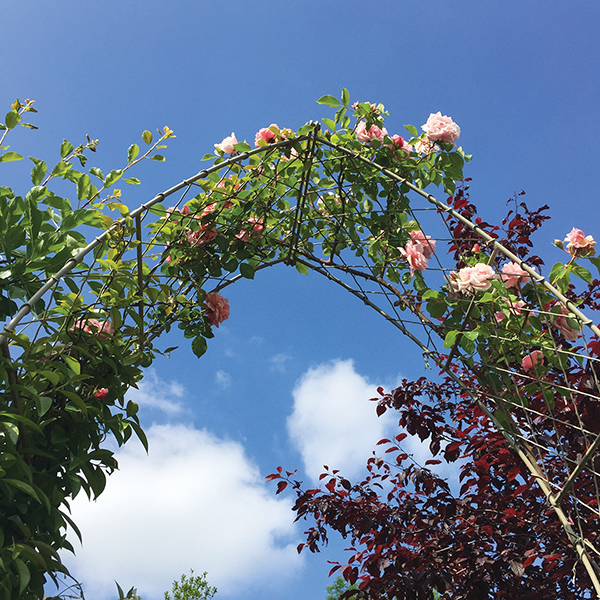 Our Gothic and Roman diamond trellis arches are ideal for supporting roses and twining plants such as clematis. 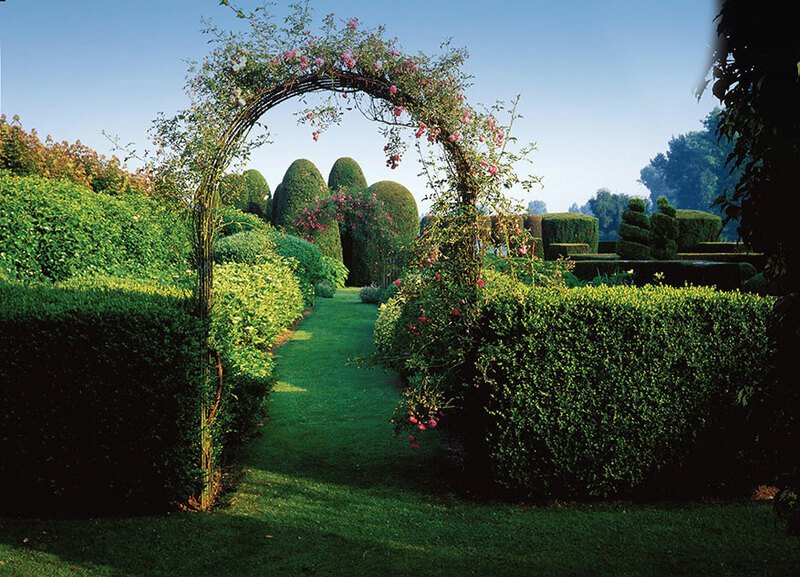 The larger, double framed arches span wider paths and are strong enough to support heavier climbers such as wisteria or laburnum. 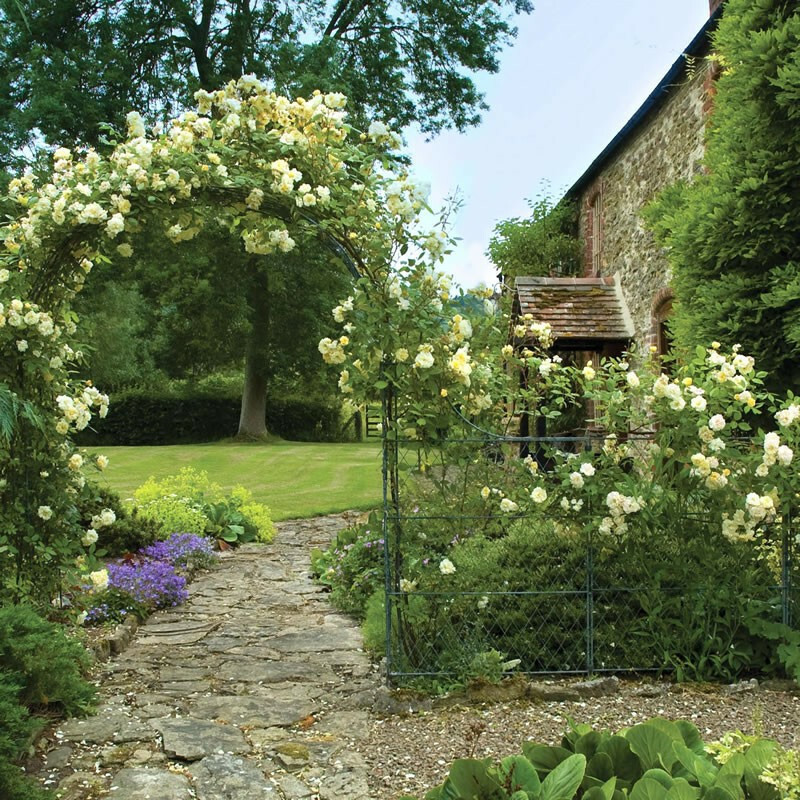 Each arch can be used with our system of matching side panels or gates to create defined areas within a garden. 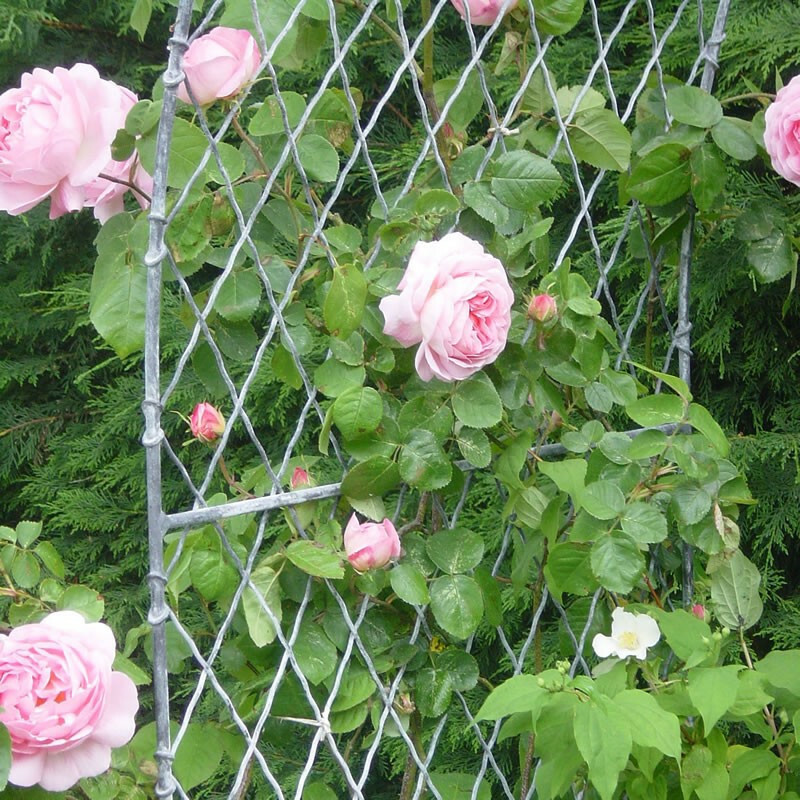 Any size of arch, gate or trellis panels can be made to measure. 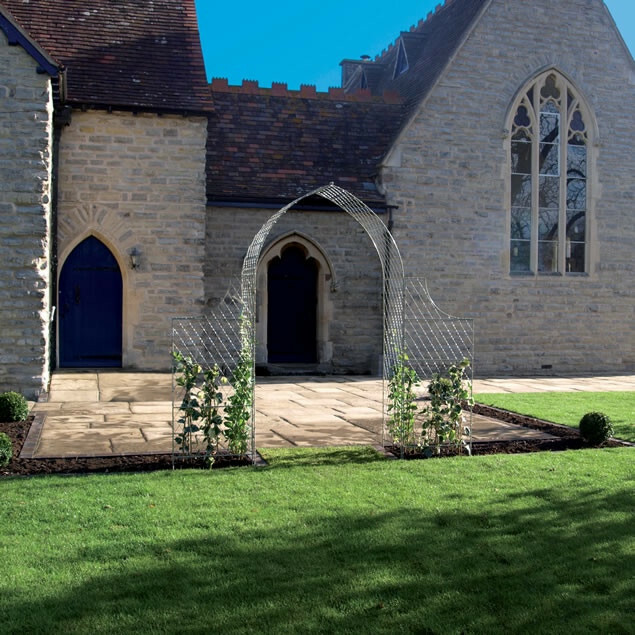 The 7’ arches looked wonderful for the wedding day – many thanks for your trouble. I suspect we’ll be back for more, see you again at Chelsea? 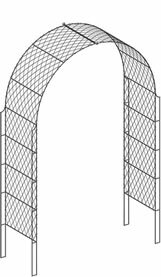 Our handmade wirework arches are made in two halves, each half bolting back together on site ready for installation. 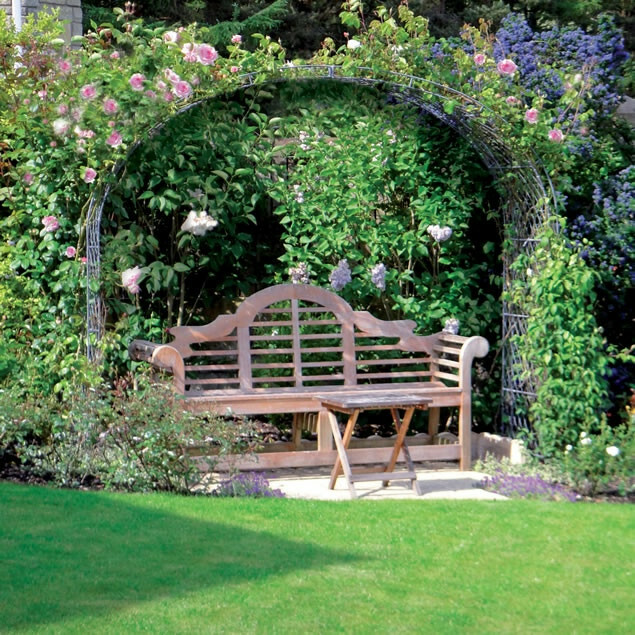 The arch sides extend down below ground level to create 15”/380mm legs for pushing in to firm ground or concreting in. 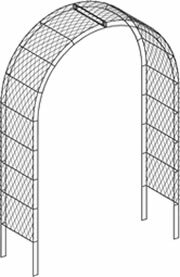 The larger arches must be concreted into pre dug holes in the ground, or if bolting onto a terrace, talk to us so that we make boltdown sides for your arch.